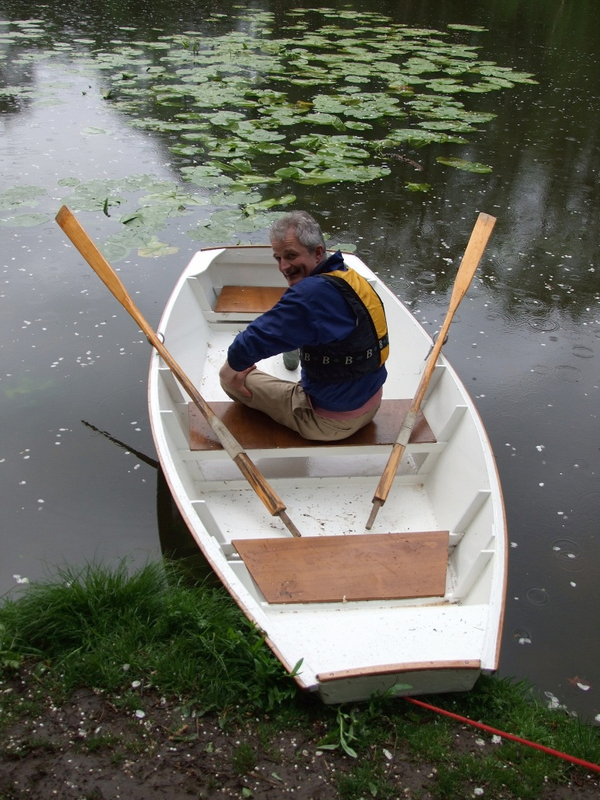 After an idyllic few days on the Norfolk Broads we’ve just returned home to the sad news that the designer Phil Bolger has ended his own life at the age of 81. I’d like to add my tribute to the many obituaries appearing around the World Wide Web. Phil Bolger was a man who inspired many people by alternately drawing beautiful boats, utilitarian boats, and utterly original boats that could only have come from the drawing board of someone who had a special gift for ruthlessly teasing out the logic of a design brief. He was also a superb communicator – in his articles and books he would often excite readers about the ideas behind his designs as much as the designs themselves, and this won him many, many fans. Bolger was often a controversial designer and frequently misunderstood by those who could not see past the boxy appearance of some of his more easily built designs. However, I think it should be clear to all that he was touched by greatness. I never met him, but have copies of most of his many fascinating books, which I’ve read and read again many times. I’ll miss him and his writing, as will countless others, but I’m confident his influence and legacy of boat designs will live on for a very long time to come. 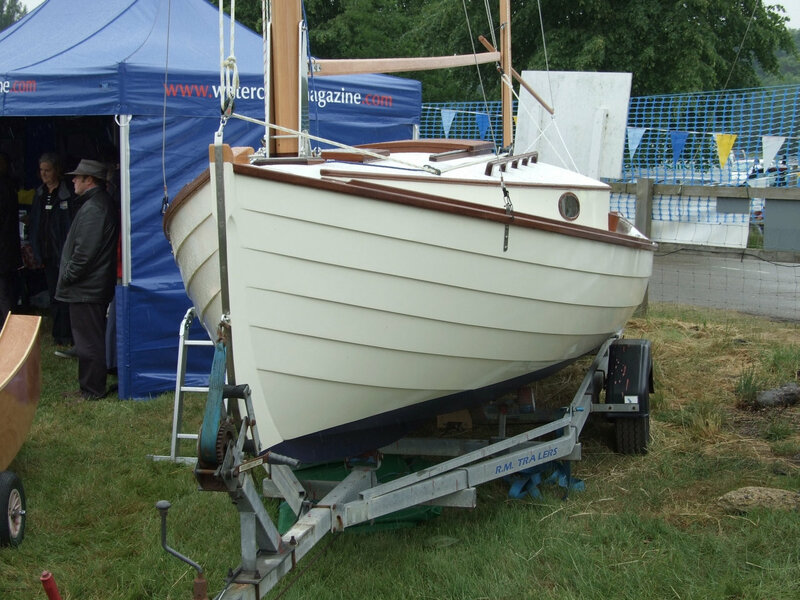 For more intheboatshed.net posts on Phil Bolger and his boat designs click here. Don’t miss something good – subscribe for free and start receiving the weekly intheboatshed.net newsletter now! 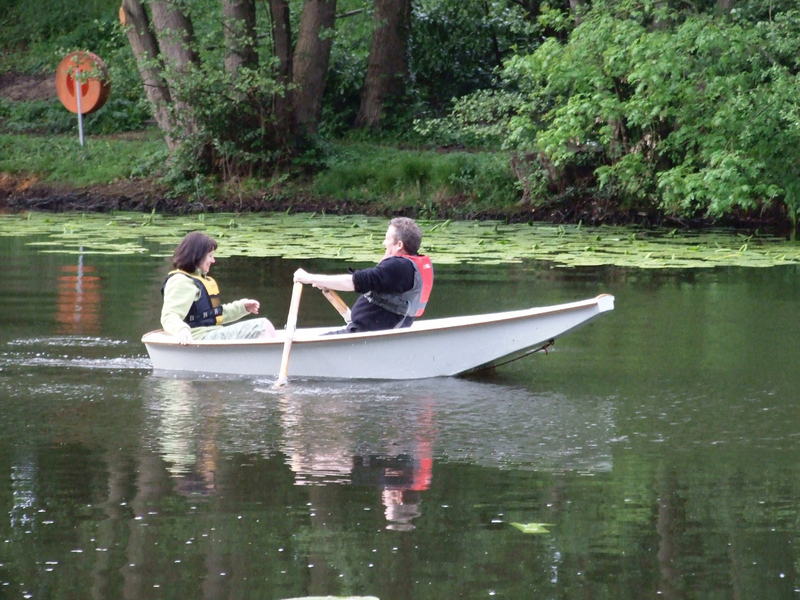 We finally launched our new Phil Bolger-designed Auray punt tender with the help of our good friends Jim and Eileen Van Den Bos yesterday. 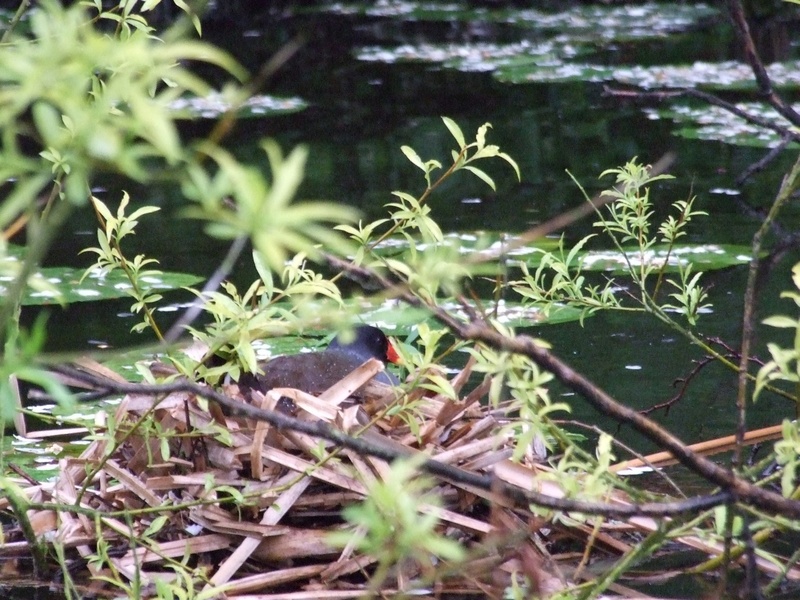 Thanks Jim and Eileen, and many thanks also for the dinner! 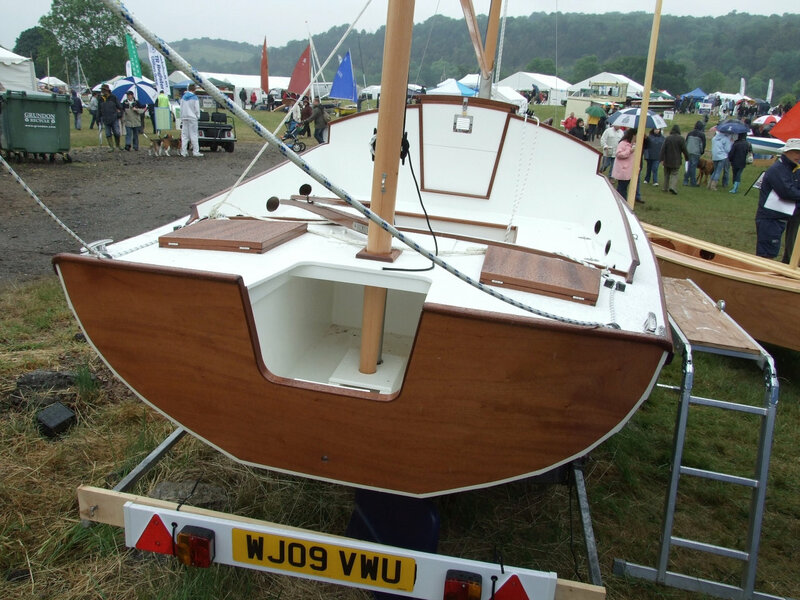 A collaborative effort between Julie, myself and Jim, it was made to plans included in an early chapter of his book Boats With an Open Mind, published by International Marine, and bearing in mind that tenders have hard lives, it is built using 3/8in marine ply rather than 1/4in material. 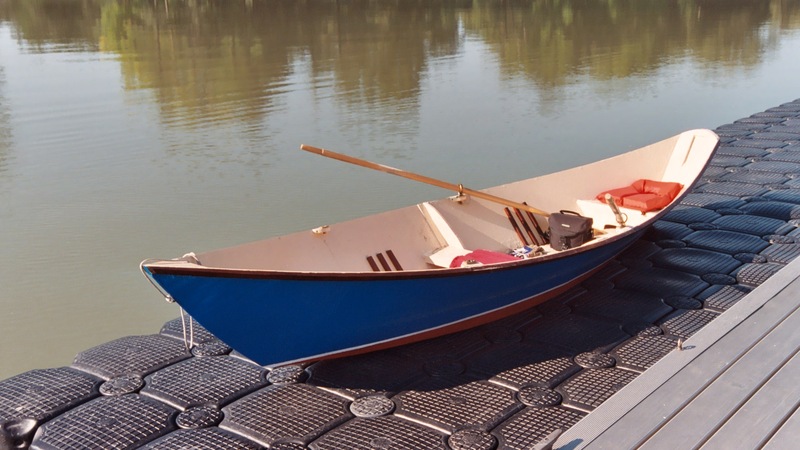 DIY boat builders may also be interested to know that the oars we’re using are the ones described by R D Culler and by Jim Michalak, who has published plans for them online. I can confirm that they’re quite easy to make (though you’ll want a power planer) and work every bit as well as Jim says. 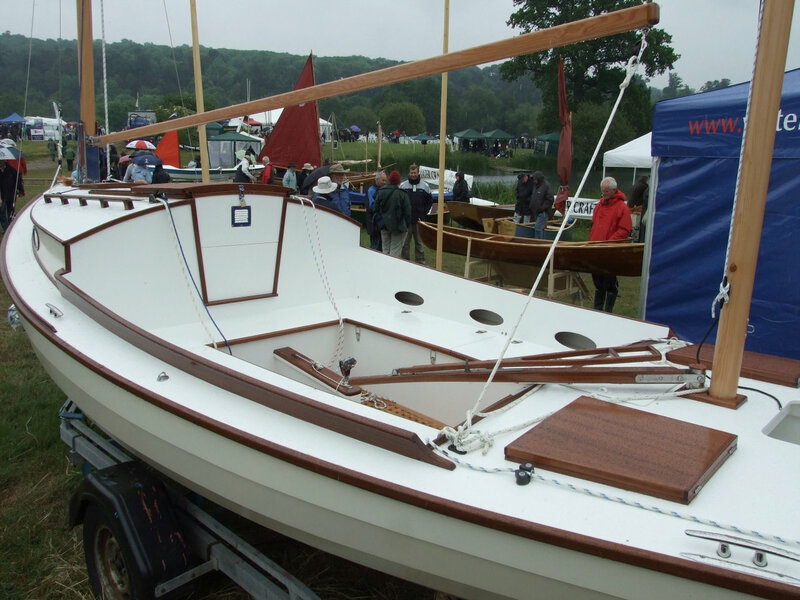 Bolger based his design on the Auray punt on a description by Claude Worth in his book Yacht Cruising, which was written in the early years of the 20th century. Worth, who observed fishermen’s boats when cruising the southern coast of Brittany thought that one particular type, which he dubbed the Auray punt, would make a good tender. 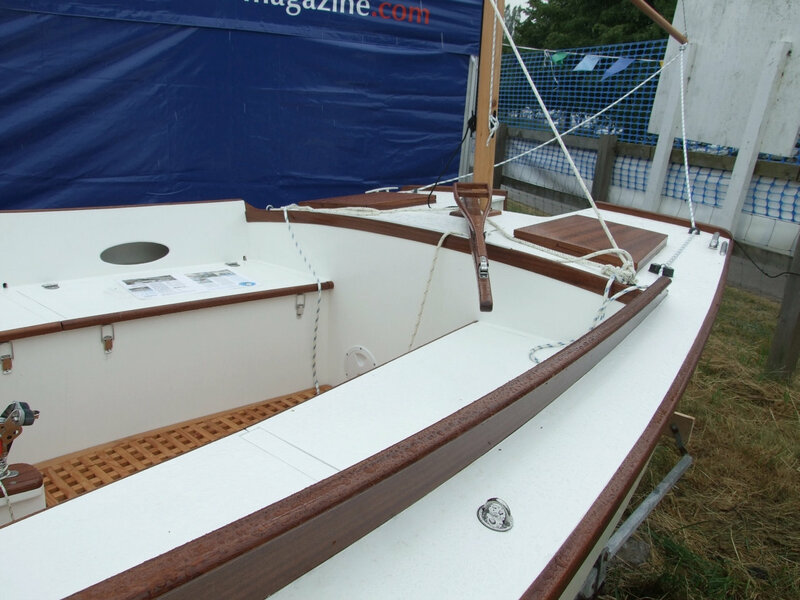 Awareness of the boat type redoubled in the 1990s, when Bolger wrote about the type in Boats with an Open Mind and included his design. One reason for Bolger’s interest in this type of boat no doubt arises from the fact that it is a traditional boat that conforms closely to his well known ‘seas of peas’ analogy relating to the design of chine boats – many of Bolger’s designs including the Micro and his flat-bottomed sharpies share the shape of the Auray punt in an elongated form. I think it will make a handsome tender, particularly if I remember to put something heavy near the bows whenever there’s someone in the stern. 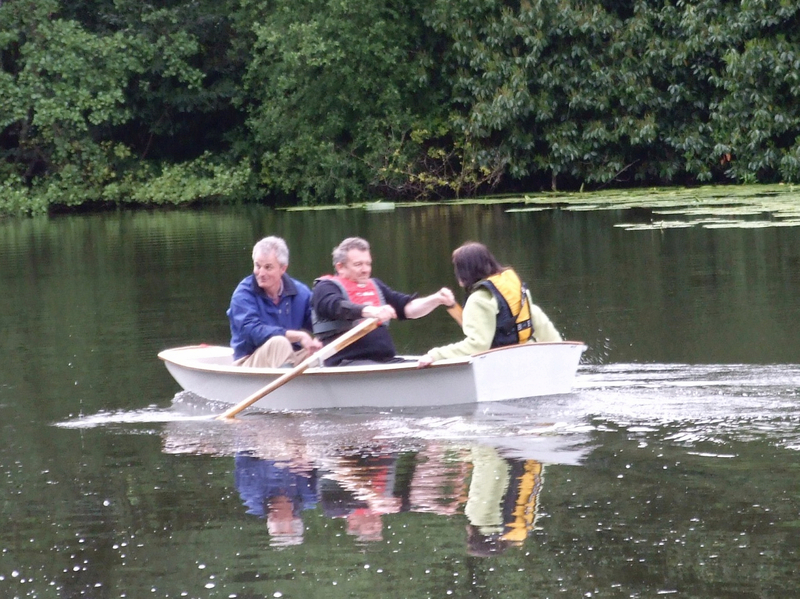 The only caution I would offer is that if you find a copy of the book and decided to build the boat, make a model first! 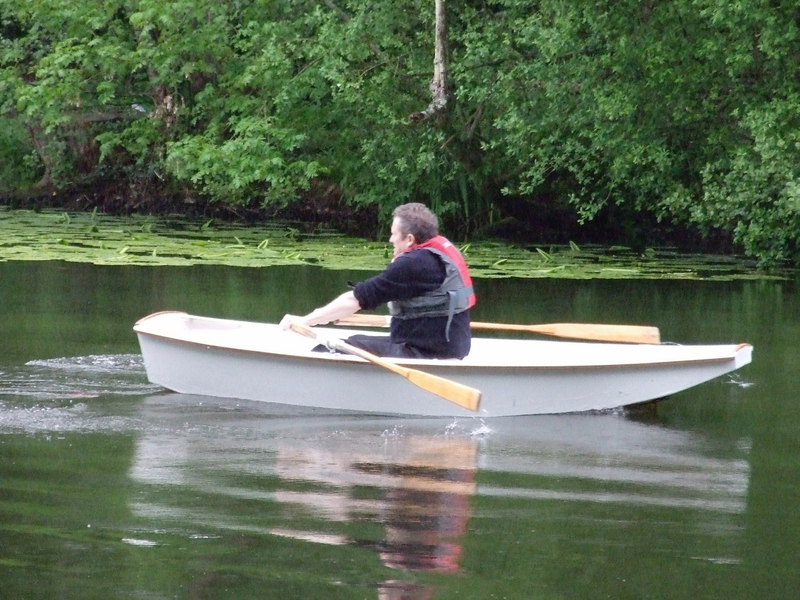 For more on the Auray punt and Worth’s description at intheboatshed.net, click here. Don’t miss something good! 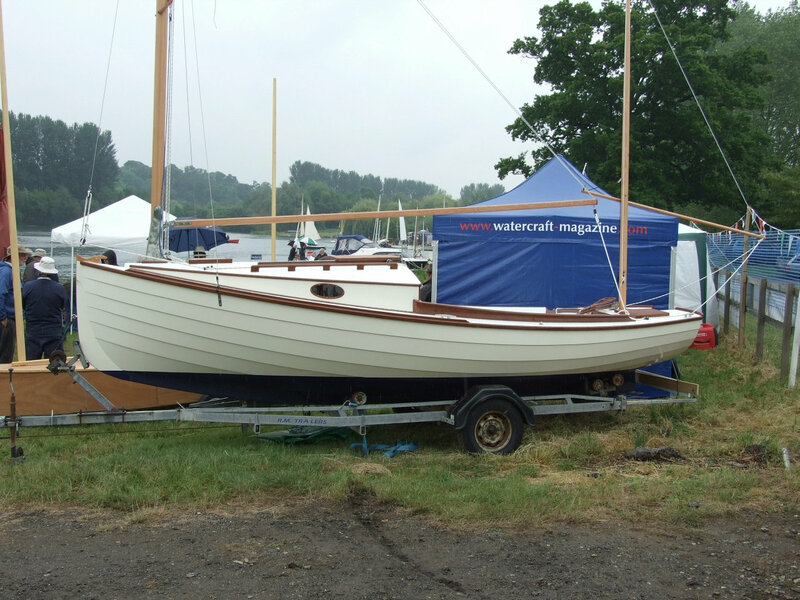 Subrscribe to intheboatshed.net’s weekly email newsletter.